A rough set-based semi-naive Bayesian classification method is applied to dependency parsing, which is an important task in syntactic structure analysis of natural language processing. Many parsing algorithms have emerged combined with statistical machine learning techniques. 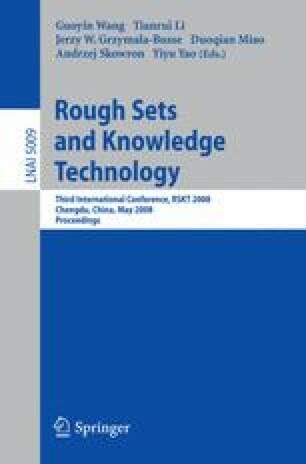 The rough set-based classifier is embedded with Nivre’s deterministic parsing algorithm to conduct dependency parsing task on a Chinese corpus. Experimental results show that the method has a good performance on dependency parsing task. Moreover, the experiments have justified the effectiveness of the classification influence.